Are you eating a less-than healthy diet? Do you want to minimize risk factors for disease? In today's age, most people eat food of less-than-perfect quality. Many rely on processed foods, fast food, and produce devoid of naturally occurring nutrients. 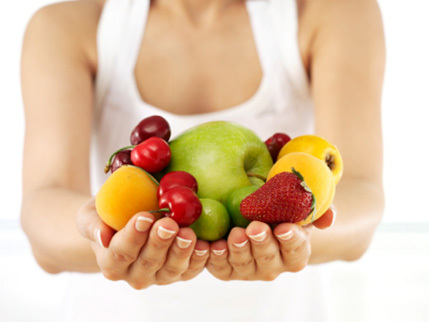 Even those that consciously opt for healthy meals often have nutritional deficiencies. Commercially produced food often lacks the required daily levels of amino acids, vitamins, and minerals. One of the most prevalent dietary problems is Vitamin D deficiency. Vitamin D plays a crucial role in thinking, concentration, memory, behavior, and pain management. Research shows that majority of people suffer from Vitamin D deficiency, and even though they are generally asymptomatic, this deficiency often poses a real risk factor for the development of chronic diseases. Gut inflammation and other gastro-intestinal conditions often cause incorrect absorption of available nutrients by the body. Dietary restrictions, food allergies, and other medical conditions may lead to insufficient levels of necessary nutrients and vitamins, as well. With modern laboratory testing, an experienced board-certified anti-aging physician can help you determine any nutritional deficiencies and design a custom vitamin and dietary supplementation plan. Vitamins and supplements are a highly effective method of ensuring that your body acquires the necessary nutrients to function well and remain healthy. Simple adjustments in your diet and supplements can make a huge difference in the improvement of your health and vitality. Each patient should consult their physician before taking any supplements. Dosage, frequency, and timing of vitamins and dietary supplements are critical. 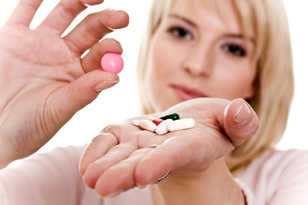 Incorrectly used vitamins and dietary supplements can have side effects and undesired health effects. Supplements can have interactions with prescription medication, over-the-counter medication, other supplements, and even certain foods. Pregnancy, undergoing surgery, and other conditions present special cases for determining the proper dietary supplementation strategy. Only an experienced board-certified physician can help you design a custom dietary supplementation plan based on your specific nutritional needs. Please consult your physician before taking any dietary supplements. PLEASE CONTACT US TODAY FOR YOUR VITAMINS AND DIETARY SUPPLEMENTS CONSULTATION.